For Philips Lighting to best showcase their products, ensure happy customers and grow their business, it was important that all their Kiwi contractors knew their products inside and out. They needed a solution so that they could easily communicate with contractors, give them access to guides and support and upskill them as new products came on board. They chose Appranet. 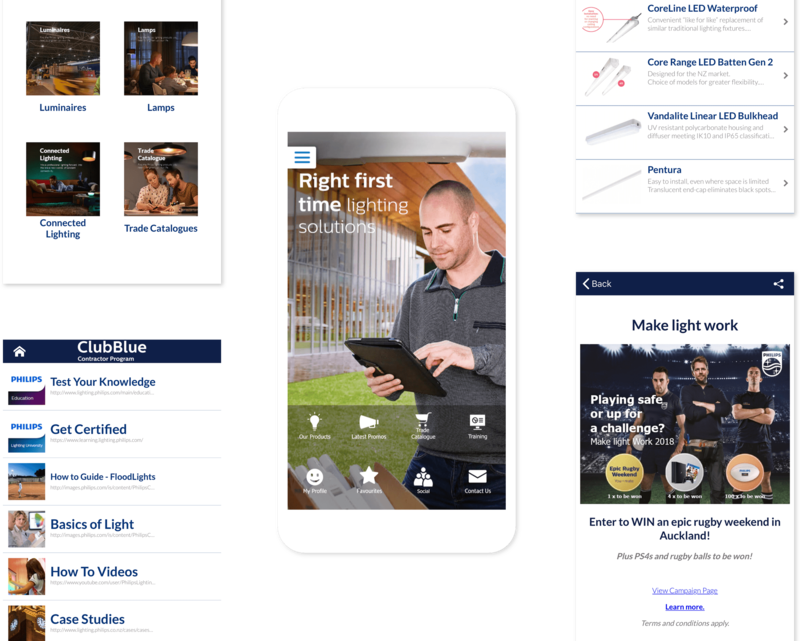 The Philips ClubBlue Appranet delivered an end to end solution for Philips with a native app and accompanying website. 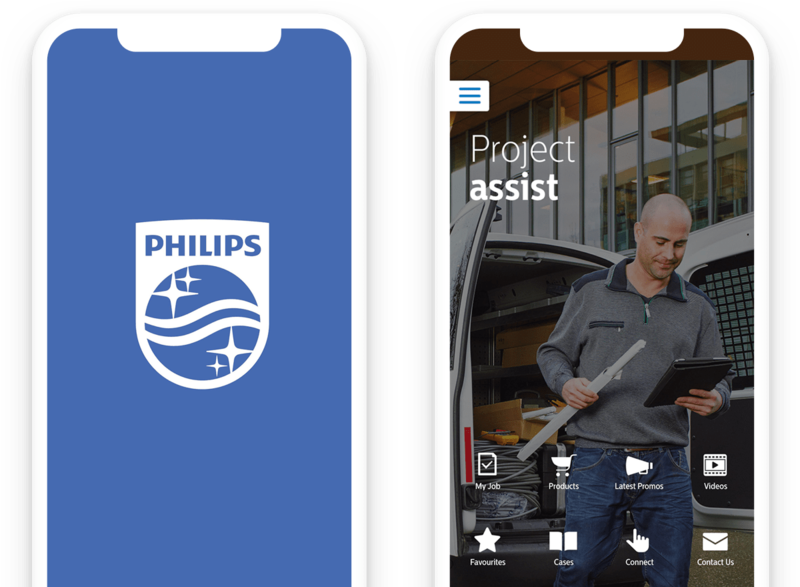 The app featured latest product guides to keep contractors informed; details on latest promotions, case studies, training videos and contractors, Phillips could be assured that they were looking after their contractors with all the information they needed to do their jobs better and in less time. The app has been so successful that we are now developing Appranet solutions for other Philips groups throughout the Asia Pacific region.